Home>New Songs>Big Twins Songs> Big Twins Grabs Havoc For Emotional Single "Memories"
Big Twins is an underground legend. He helped craft the Infamous Mobb, a crew that is heavily affiliated with Mobb Deep. Twins is set to drop off a solo project entitled Grimey Life on November 16th. Before the veteran emcee touches down with the album, he's blessed fans with a new single. 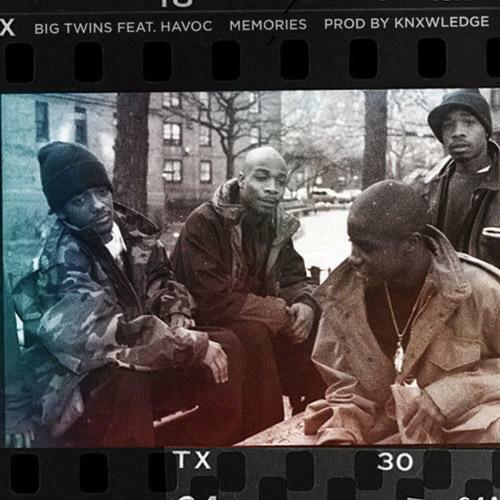 Mobb Deep's Havoc joins Twins for "Memories," which is an emotional ode to those that have passed on. Produced by Kxnwledge, "Memories" finds Twins rapping about his fraternal counterpart, Twin Scarface. Scarface passed away after a tragic car crash in 1996. In the same year, Havoc's older brother Killa Black took his own life. The instrumental gives off a vibe off positivity and solace, helping both artists paint a picture of acceptance and love instead of mourning and hopelessness. Of course, Havoc takes time out to give the late Prodigy a shout out as well. SONGS Big Twins Grabs Havoc For Emotional Single "Memories"